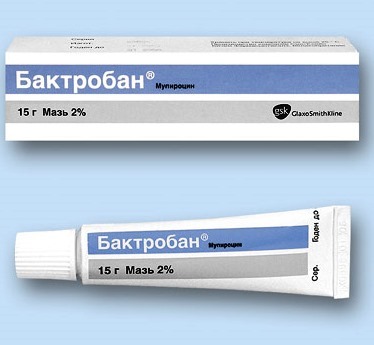 Ointment Baktroban refers to the pharmacological group of antibacterial agents for local use. It is used to treat various infectious lesions of the skin and nasal mucosa, caused by bacteria that are susceptible to the drug. Paraffin base with the addition of glycerin - contained in the ointment for intranasal use. Polyethylene glycol - is the basis of the ointment for external cutaneous use. The ointment is packaged in aluminum tubes of 3 g. One carton contains 1 tube and instructions for using the preparation. The carton pack of the ointment for intranasal use additionally contains a special tip for convenient administration of the drug into the nasal cavity. The main active ingredient in Bactroban ointment is mupirocin. This substance is a natural antibiotic, obtained by fermentation of microorganism cells of Pseudomonas fluorescens. It has a bacteriostatic effect (inhibits the growth and reproduction of bacteria susceptible to it) due to the blocking effect on the enzymatic systems of the bacterial cell responsible for the synthesis of certain proteins. With a higher concentration of mupirocin has a bactericidal effect - causes the death of bacterial cells. Staphylococci - Staphyloccocus aureus (including methicillin-resistant strains), Staphyloccocus epidermidis, beta-hemolytic strains of bacteria of the genus Streptococcus (Streptococcus) and Haemophilis influenza (Sine piperine bacterium) are most sensitive to the active substance of the ointment. When applying the drug to the mucous membrane of the nasal cavity or the surface of the skin, the active substance accumulates only within the area of ​​application. 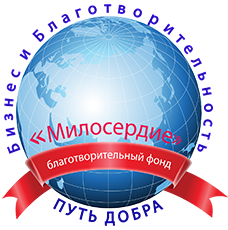 A small amount of mupirocin is absorbed into the blood, in the liver it is immediately metabolized to an intermediate decomposition product (monium acid) and excreted by the kidneys in the urine. Applying a large amount of ointment to the skin can lead to the absorption of propylene glycol into the bloodstream, which has an adverse effect on the functional activity of the kidneys. Bacterial rhinitis is an inflammation of the nasal mucosa, which may be complicated by the development of a purulent process. Infectious process in the nasal mucosa, which proceeds without inflammatory changes in it - bacterial carriage. Bacterial infiltrative inflammatory and pustular skin lesions. Suppuration of the wound after the violation of the integrity of the skin. Also, Bactroban ointment for external use can be used to prevent purulent complications on the skin in the postoperative wound area. Hypersensitivity (hypersensitivity) to the main active ingredient or auxiliary components of the drug. Ointment Bactroban is used for children over 2 years and adults. The ointment for external use is applied to the affected skin in a small amount with its distribution in a thin layer 3 times a day. Intranasal ointment with a special nozzle is introduced into the nasal cavity in a small amount also 3 times a day. The duration of the course of the drug on average is 7-10 days. In general, the drug is well tolerated. Sometimes manifestations of irritation of the skin or mucous membrane of the nose in the form of burning and redness (redness). An allergic reaction rarely develops with the appearance of a rash and itching. In the case of side effects, the drug is discontinued. It is imperative to pay attention to the conformity of the dosage form to the method of its use, it is not allowed to use the ointment for external use intranasally. In case of application to the skin of intranasal ointment, its therapeutic efficacy may be insufficient. There is no data on the negative effect of the drug on the growing fetus during pregnancy, so its use is possible only under medical supervision of a physician. The same condition must be fulfilled when breastfeeding. Do not apply a large amount of the drug to the skin, as this may lead to the absorption of propylene glycol into the bloodstream, which adversely affects the functional activity of the kidneys. It is important to avoid getting any type of Bactroban ointment on the conjunctiva of the eye. In case of even a small amount of the drug, the eyes should be washed with a large amount of running water and seek medical attention. The use of ointment Baktroban does not affect the concentration of attention and the speed of psychomotor reactions. In the pharmacy network, the drug is available on prescription. Its independent use is not recommended, since it can lead to the formation of pathogenic (pathogenic) microflora resistant to antibiotics. The toxicity of the active substance is minimal. In case of an erroneous intake of the ointment, the stomach and intestines are washed. According to the pharmacological action of analogues of Bactroban ointment are Gentamicin ointment, Baneocin, Levomycetin ointment. The shelf life of unopened ointment from the time of its manufacture is 1.5 years. After the tube has been printed, the shelf life of the ointment is 2 weeks. Keep the drug must be out of the reach of children, dark and dry place with air temperature no higher than + 25 ° C.
Baktroban ointment for external use of 2%, tube 15, from 367 rubles.